The report has been prepared based on the synthesis, analysis, and interpretation of information about the global edible tea market collected from specialized sources. The competitive landscape section of the report provides a clear insight into the market share analysis of key industry players. The report gives and examination of the market competition that could be experienced by players. The report discusses possible market investigation strategies for new individuals and business ways that present players could take. 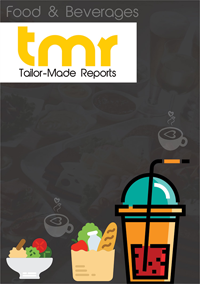 The report is a broad examination of the global edible tea market, its drivers, challenges, and key trends that the market is anticipated to witness. Using dried fruits and vegetables, various kinds of aromas like beetroot and parsnip, pineapple and kiwi and pineapple, beetroot and parsnip can be found and sold. They are also available. Three different varieties of beetroot and parsnip, pineapple and kiwi and pineapple, beetroot and parsnip have been made from dried fruit and vegetable products. Tea is considered the best afternoon drink after lunch in countries such as China and Japan. The reason is that they usually eat white meal that is not easy to digest and tea helps improve their metabolism. Tea drinking has been proven science-based because it contains antioxidants and has several health benefits. It certainly contributes to hydration and is an excellent substitute for those who want to reduce their coffee consumption and increase their water consumption. Tea can be eaten as a warm drink or a cool chilled drink. These are some of the key factors driving the global edible tea market in the forthcoming years. Recently, the first edible teas has been launched by one of the leading crisp companies in Kent. Nim 's UK fruit crisp brand offers the option of providing you with a variety of tea infusions you may drink or eat as a snack. Nim 's from Sittingbourne is known for its air dries but now has a drink and snack made of dried fruit and vegetables. Nim 's from Sittingbourne. Nim is best known for its range of fruit crops, so the flavors of their tea are similar. Three different species, namely beetroot and pineapple, kiwi and pineapple, beetroot and parsnip, have been made from dried fruit and vegetables. The global edible tea market is segmented for further study into regions of North America, South America, Asia Pacific, Europe, and the Middle East and Africa. The global edible tea market is a presently at a nascent stage. The widespread edible tea market has opportunities and trends are also taken into consideration in edible tea industry. The report deeply analyzes the leading players in the industry and with their company profile and policies adopted.